Only this time, there's a twist. It's not whether we're brave dealing with the cancer we've been dealt, but whether or not it takes bravery to speak about it. To fess up to those that don't know or understand our situation. Blogger, ChemoBabe recently posed the question on her facebook page and while some people agreed and some didn't, it was the mention of one word that struck a chord with me. Sharing a cancer diagnosis leaves us open, exposed to whatever belief is held by the person in front of us and most likely, it differs from ours. I used to think writing this blog for anonymous readers was the equivalent of talking about it. But, that didn't take bravery. Writing to cyberspace was easy. I could send all my thoughts out there, turn off the computer and face my daily life where only a select few knew the story. It was there, in reality where it got hard. Disclosing cancer for long distance friends, old time friends or new ones is downright scary. Everyone wears a public face, but to unmask mine, by admitting this happened was out of my grasp and truthfully, it's a burden I continue to carry. I even wrote a post not long ago stating I wouldn't tell old friends. I'd greet them at some reunion, slyly omitting this life-changer, as if it never touched me. Volunteer my diagnosis or not? What's the answer? Why so fearful? 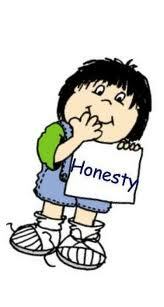 Nothing good comes from doing nothing, so why not be honest? Something good may come of it. Logic tells me I should no longer feel so raw, so susceptible to another's opinion...yet I do. It lingers. Even after blogging all these months, it's with me. My husband recently ran into an old neighbor and told him about our last two years. As he filled me in, my heart dropped, "Oh...you told him?" That's supposed to be just fine. There's no secret here. I'm as public as can be...in a private sort of way and there's the issue. Last week, in a room filled with survivors (for lack of a better word) all dedicated to raising money for one of my favorite non-profit organizations, I still held back. Not the cancer in this case, from the nature of the group that was a given, but the fact that I blog about it. Amazing, really. The exact audience I strive to reach all around me and still I hesitate. Easy enough telling these strangers how I found the group or why their services are so valuable, but I kept quiet about the blog. As if there were some other reason I was invited, knowing there wasn't. I knew it was the blog that brought me there, but I couldn't say it. Couldn't just say, "Hi, my name is Stacey and I blog about my experience with breast cancer." Vulnerable with a capital V.
What was my silence really protecting? What's the worst that could happen? I knew I couldn't continue to be half way out of the breast cancer closet and after a while, I summoned the courage to say it. Lucky for me, the first person I told knew the blog and liked it. She was lovely, her reaction, beyond kind and happy to meet me, this face behind the words. It was my first time meeting a reader I didn't know. This lady helped reaffirm why I write and why owning up to my experience matters. I just wish it were easier. Breast cancer isn't a thing to be ashamed of. We are not responsible for this horrible thing, no matter how we might blame ourselves. It is simply something that happened to us and bravery shouldn't be required to share our stories. I'm trying really hard to remember that. Do you find yourself still holding back? Stacey, I'm not shy about fessing up, but I do get tired of dealing with other people's fear & ignorance about breast cancer. So, I pick & choose. Sometimes, what I think we get back is a big dose of other people's feelings of vulnerability, which we do not need, which can take many forms. Sometimes it comes across as an uninformed remark like, "But you're cured now, right?" Other times, people may notice you don't feel well, but are afraid to ask why if they already know you've had cancer, or if they ask anyway, and you don't feel well because you are still feeling tired, achey, beset by treatment side effects, anxious about a scan coming up, they can't believe that you STILL don't feel okay. I mean, aren't we all better yet? The important thing is for you to feel okay about where you are at. It's perfectly reasonable & appropriate to play it by ear & decide to say nothing. It takes a lot of energy to deal with recovering & dealing & coming to terms with not being the same person anymore. One of my friends who was recently diagnosed & just had a mast decided to put off a few friends who wanted to see her early on, warning them that she was still "attending the wake" herself. I know exactly where you're coming from! I've felt the same way many times. I find it easier to talk about my mom's cancer than my own. Even when I was doing the Avon Walk and came into contact with a lot of people who had been diagnosed with breast cancer! For some reason, since I was so young, I feel like people will think I'm lying, and that I never had breast cancer at all. Silly, maybe, but it's how I've always felt. I do hold back when it's inappropriate to announce in a room full of strangers that I've been affected by brest cancer. I am an emotional person who wears her heart on her sleeve. I've told a lot of people with very little difficulty doing so. Thank you for talking about this. Time wounds all heels? Well, sometimes it does, and that may be the case for you. There's also periods when it's essential to relax into our life, savor the moments and happiness, and take control of what we can. And when you're comfortable, you'll tell people. Or not. Not everyone does.It's your experience and yours to share when or it you feel at ease. You really hit on something here, Stacey. I struggle with this too. Maybe we all do?? I find it really hard to admit I blog, although I finally did at a support group meeting. Even members of my own family do not read my blog or want to talk about cancer, so I always feel like if they don't want to, how can I devulge to strangers or even old friends? It seems so many people believe it's over when treatment ends. Vulnerability is a perfect word to describe this new permanent state of mind I feel I'm in. I'm so thankful for others like you who are out there 'listening'. And as for bravery, well, you probably know how I feel about that label too! Great post. Thank you! Kathi, thanks for reminding me that it's okay to pick and choose. My problem is thinking it's all or nothing, but I guess it really isn't. It's how we feel in the moment. Thanks for your great comment. Ginny, I know exactly what you mean about the walk and not saying anything. That's how it was for me at the meeting I went to and people there had breast cancer! Silly, isn't it? Hi Beth, I so want to get better about this. I'm actually curious to see the reactions of some people and who knows, it might be a good thing I spoke up. Jody, so sweet. Thank you for reading and commenting. When we're comfortable... important words. Hi Nancy, weird, isn't it? Not saying we blog? It's like I forget I'm putting it all out there. Something happens face to face. I don't know, I'm working on it and so appreciate you and our online friends so much for being there. Thanks, Nancy. I don't like to be introduced to a group as a cancer survivor without my permission if they don't already know. I am getting braver, though, in sharing my medical history with select strangers, such as on my recent Ireland trip (when the spirit moved me) and on a recent trip to a local sew-and-vac store about which I blogged this past week. Vulnerability is such an apropos term for this reluctance to share something private and perhaps get a return comment not to our liking. It takes courage, but like muscles, can be strengthened with continued use. Or at least I think that is the case, because everyone's different. Thanks for sharing your deepest thoughts on bravery.